BHP Chain conveyors and feeders are designed to handle abrasive materials like fly ash, hot clinker, hot lime, coal, limestone lumps, etc. Various designs of chains are available for drag chain conveyor, en-masse conveyor and scraper/flight chain conveyor applications. 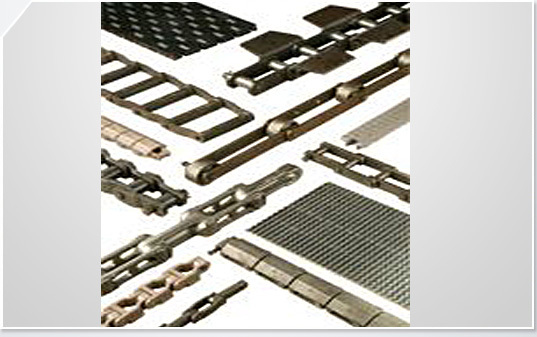 These include drop forged chains, engineered steel plate chains with various designs of attachments. For handling abrasive materials, special hard face welded chains and attachments are available. These chains overcome all deficiencies inherent in the cast steel chain designs.